5pm-7:30pmFreeOne child 12 & under per paying adult. 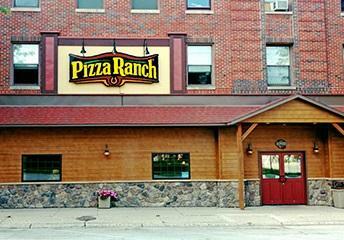 Lunch: $8.40Evening/Weekend: $9.24Must be 65 or older. Cannot be combined with other offers. Lunch: $7.93Evening/Weekend: $8.73Must present military ID. Cannot be combined with other offers. 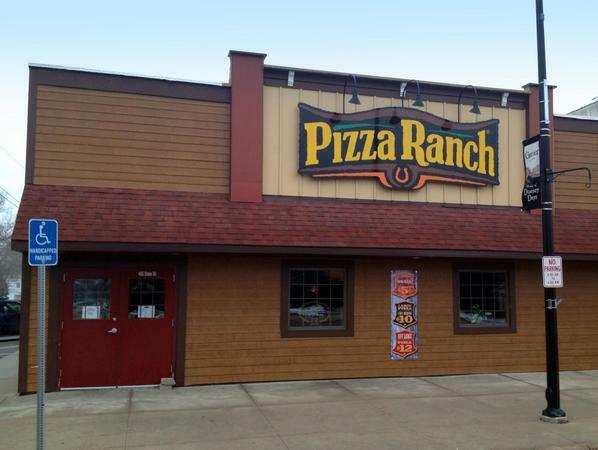 Bring the crew to Pizza Ranch for a legendary dining experience. 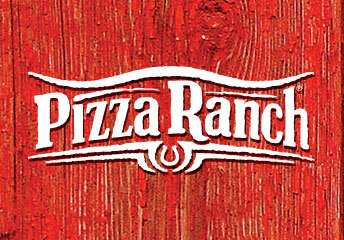 You’ll find the Country’s Best Chicken® and Algona’s best pizza on our Buffet Your Way. If you don’t see what you want, let us know—we’ll make it fresh and bring you the first slice. And don’t forget the Cactus Bread®! Find us nearby the Camp Algona POW Museum and North Park. With two community rooms that each seat 20, we’re perfect for your next gathering. Stop by for a Community Impact event to support local organizations like the Algona Boy Scouts, or get in touch with us to host your own! For those nights in, call or order online, and we’ll deliver. Once we arrived the staff was unfriendly. Felt unwanted. They warmed up a little as time went on. Great service from guys on duty. Also new bucking bronco pizza is delicious. Please keep it on the menu. No chicken on the night buffet when we got there after 5:00.No ranch dressing on the salad bar and not much lettuce.Many people were complaining because no chicken to eat and they didn't want to wait 20 mins. for some to be put out. The buffet started out kinda skimpy. Then they started to fill it. Better that my last two visits to the Mason City, Iowa store. My pizza was made wrong so had to sit and wait while they made another one! Another lady had to wait for hers too! Service was great. Food also was great. Pizza and chicken and potato wedges very slow coming to the counter.